Filigree, a thin metal lace, as used by Dolce&Gabbana. Traditional Russian design elements can often be seen around the world. While the Zhostovo pattern is beloved by famous designers and fashion houses, and the Ghel motif often crops up in porcelain decorations, the filigree (or Russian ‘skan’) is one more famous Russian element, which has featured in several collections by Dolce&Gabbana. 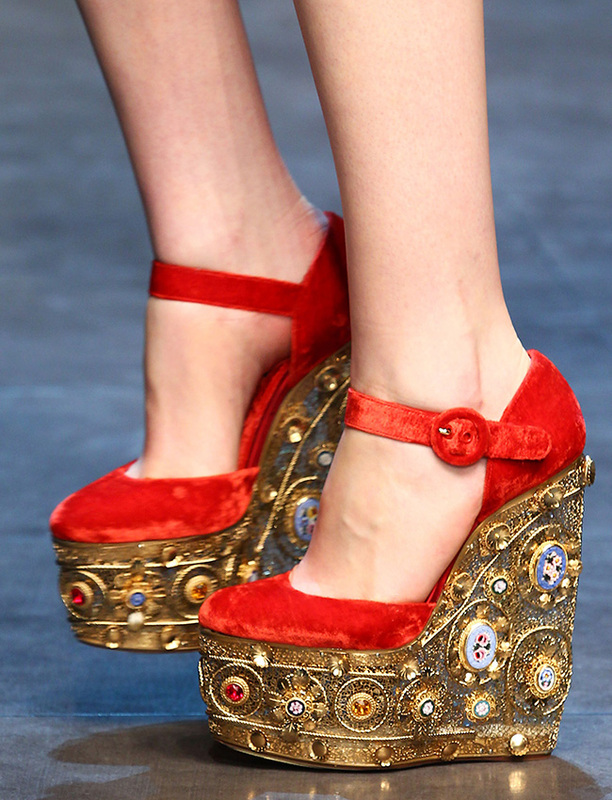 / Dolce & Gabbana women's Fall-Winter 2013-14 collection. 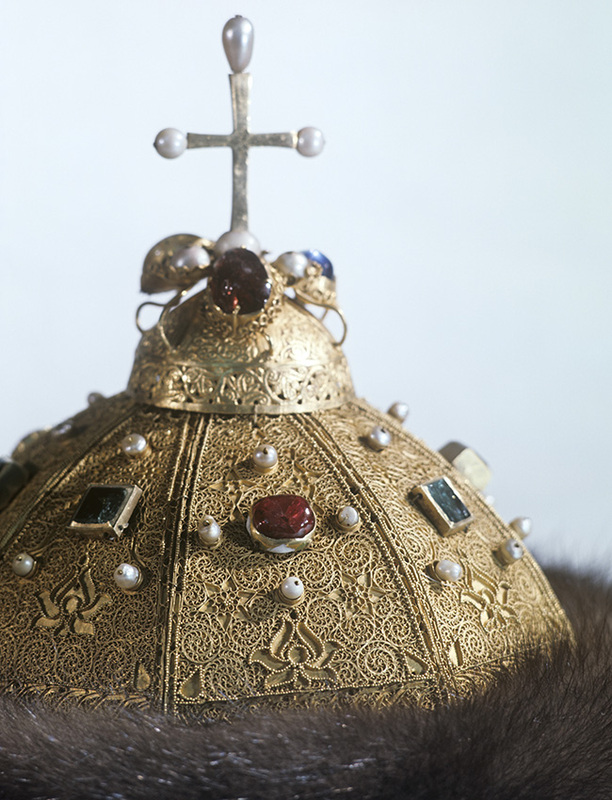 The most famous Russian filigree artwork is Monomakh's Cap, a chief relic of Russian autocracy and the oldest crown on display in the Kremlin Armory. The cap seems to have been made between the 13-14th centuries in Central Asia. It is a filigree cap, decorated with pearls, sable fur, rubins and emeralds. 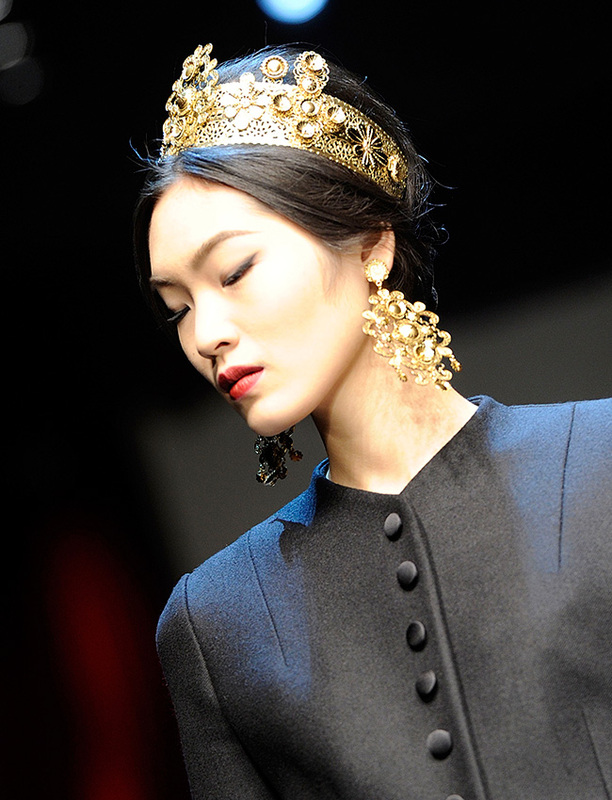 Golden shoes, purses, filigree crowns, and earrings all appeared on the catwalk. 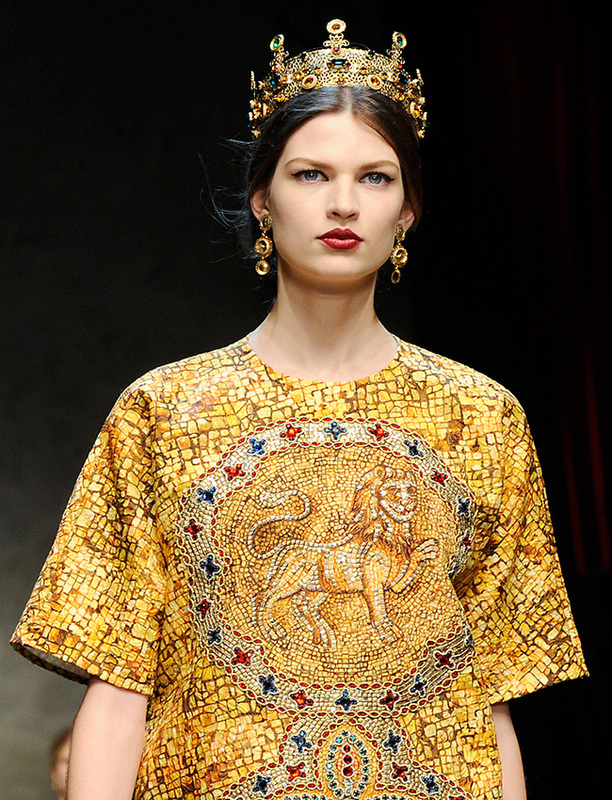 / Dolce & Gabbana women’s Fall-Winter 2013-14 collection. Russian craftsmen mastered the art of filigree jewelry, and this wondrously delicate handiwork spread to the towns and cities of central Russia and the Caucasus. Soon the artisans added vases, boxes, dishes, religious utensils, and even murals to their expanding repertoire. 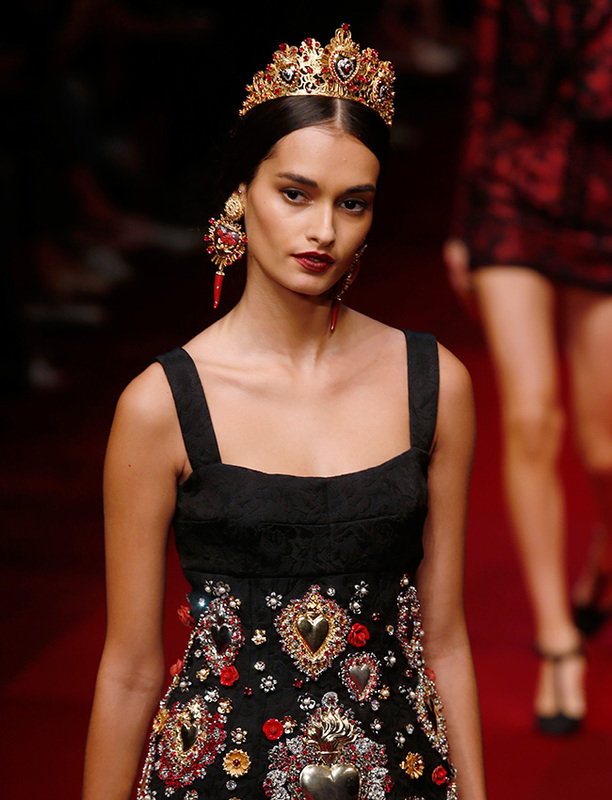 / Dolce & Gabbana women's Fall-Winter 2013-14 collection. The filigree accessories looked chic and modern, and the fact that filigree was once a staple of high fashion makes this event even more significant. 230 miles east of Moscow lies a village by the name of Kazakovo (Nizhnyi Novgorod region), where metalwork has been practised for centuries. 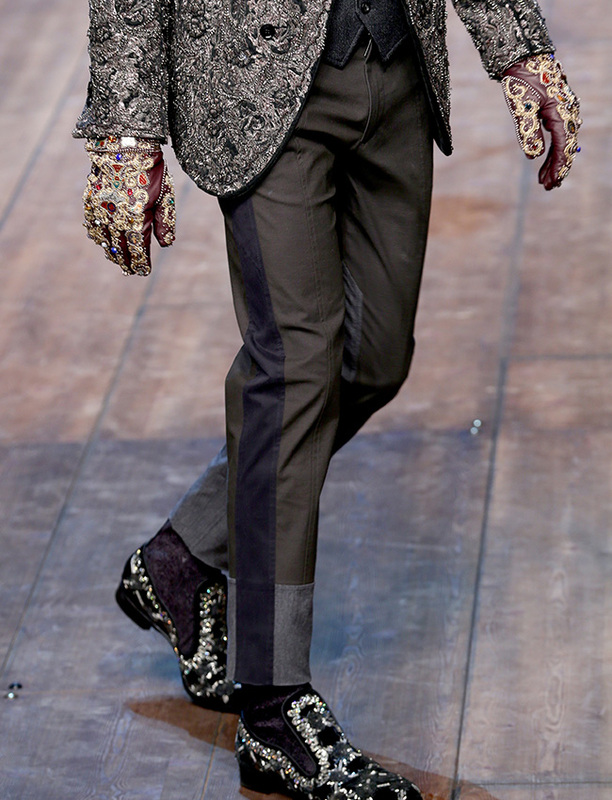 / Dolce & Gabbana men's Fall-Winter 2014-15 collection. Today Kazakovo village is the sole Russian center of filigree plating - one of the most delicate and exquisite forms of jewelry. How do they do that? Watch the video. / Sunglasses from Dolce & Gabbana Fall/Winter 2014 collection.